Counterpart partners with local organizations – formal and informal – to build inclusive, sustainable communities in which their people thrive. Counterpart International supports local communities in Central America based on their specific needs. Counterpart’s programs range from working in partnership with coastal communities in the Dominican Republic to reducing violence and corruption in Honduras to increasing food production in Guatemala. In each of our programs, Counterpart helps people build better lives and more durable futures, community by community. Counterpart, through the Improved Technical Support to Farmers program, is working in partnership with the Ministry of Agriculture and universities in Guatemala to train rural extension agents. The program increases food security in 35 municipalities in the Western Highlands, revitalizing the agricultural sector by building the capacity of the Ministry of Agriculture and offering improved economic prospects for local farmers and cooperatives. Once the agents are trained, they work with the indigenous women heads of households to develop solutions for their communities and in their households. By addressing not just agricultural production, but household nutrition, health and other community issues, Counterpart is working to decrease rural childhood malnutrition rates. Establishing local ownership of the trainings creates a lasting impact. 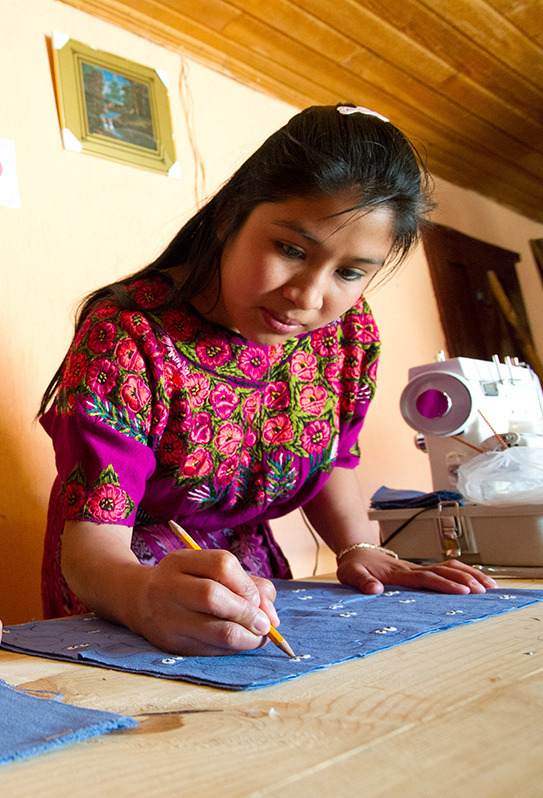 Counterpart has been working in Guatemala since 2005, with previous programs focused on eco-tourism. Counterpart’s community-based conflict and violence prevention programs in Honduras address a number of areas of community concern. The Citizen Participation for Responsive Governance (CPRG) program in Honduras is increasing the transparency and accountability of public institutions through support for civil society-led initiatives, while improving citizen and community safety by strengthening local communities' and governments' ability to prevent crime and violence. To date, the program has successfully advocated for 15 public policies, established 36 community committees that focus on keeping their neighborhoods safe and reached more than 8,000 people through violence prevention initiatives. Counterpart started work in Honduras in 2004 with previous programs focused on eco-tourism and conservation.community-based conflict and violence prevention programs address a number of areas of community concern. The Citizen Participation for Responsive Governance (CPRG) program in Honduras is increasing the transparency and accountability of public institutions through support for civil society-led initiatives, while improving citizen and community safety by strengthening local communities' and governments' ability to prevent crime and violence. To date, the program has successfully advocated for 15 public policies, established 36 Community Committees that focus on keeping their neighborhoods safe and reached more than 8,000 people through violence prevention initiatives. Counterpart started work in Honduras in 2004 with previous programs focused on eco-tourism and conservation. Counterpart believes in the importance of a sustainable environment for tourism, fishing and local agriculture in the Dominican Republic. Counterpart’s Coastal Community Resiliency Framework in the Dominican Republic, which started in 2014, focuses on improving the provision of sustainable climate-resilient services by coastal communities in the Dominican Republic. The program strengthens the national-level resiliency operating environment; enhances capacity of local institutions to formulate, advocate for, and implement improved coastal climate resiliency strategies and programs; and increases youth opportunities for coastal conservation education and engagement. This framework successfully builds upon previous programs that focused on coral restoration, understanding the carbon currently in mangroves and increasing sustainable tourism. All programs have operated in partnership with local Dominican organizations on the ground. Counterpart has worked in the Dominican Republic since 2008. All content courtesy of Counterpart International. The United States' leading domestic hunger-relief charity, Feeding America is able to provide nutritious, fresh foods to emergency relief for disaster victims with the help of local and national food assistance programs. All content courtesy of Feed America. A charity fundraising web site that connects donors to over 1,000 pre-screened grassroots charity projects around the world, including disaster relief efforts in the Philippines, Haiti, Japan, Uganda, Oklahoma and Colorado. All content courtesy of GlobalGiving. Mercy Corps empowers people to survive through crisis, build better lives and transform their communities for good. All content courtesy of Mercy Corps. All content courtesy of Oxfam America. The world's largest organization dedicated to volunteer service mobilizes millions of people around the world to meet critical needs in disaster preparedness, response and recovery. All content courtesy of Points of Light. Spread the light and warmth of hospitality to communities around the world through disaster preparedness and response. Early warning preparedness and planning efforts save lives. For every $1 spent on resiliency and preparedness, $7 is saved on response. * The Hilton Responds Fund provides immediate funding to organizations responding and rebuilding in our communities. One hundred percent of all donations are applied to disaster-related projects including on-the-ground assistance and long-term sustainability. Helping people build better lives and more durable futures, community by community. Mercy Corps empowers people to survive through crisis, build better lives and transform their communities for good. Last year they helped over 8 million refugees and host community members. Oxfam America is a global organization working to right the wrong of poverty.